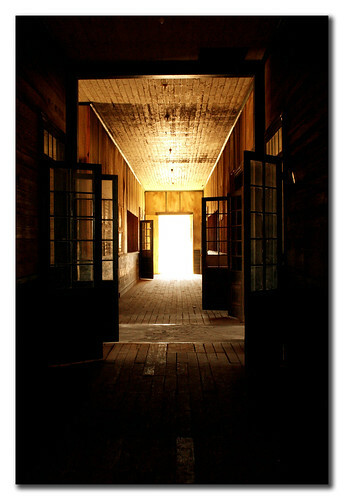 Founded in 1872, Humberstone was a miinering town whose inhabitants worked in the nitrate mines nearby. 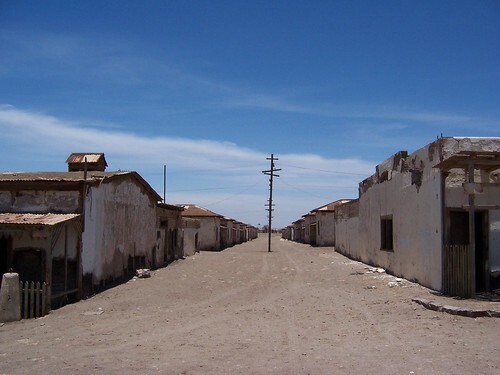 The town was abandoned as a result of the development of the artificial nitrate, in the 1960’s. 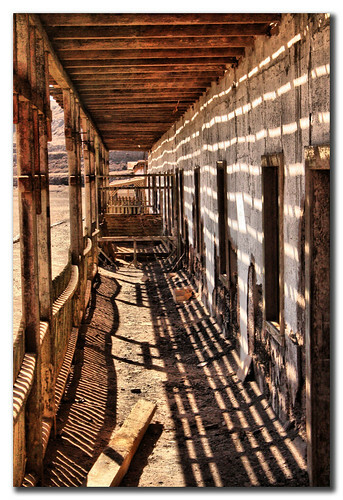 For a long time Humberstone lay imperturbably in the middle of the desert, empty, without life. Located in the remote desert of Atacama, one of the driest places on earth, the inhabitants of this area developed its own culture: pampinos culture. It manifests in its rich language, creativity, solidarity and above all for their struggle for social justice. 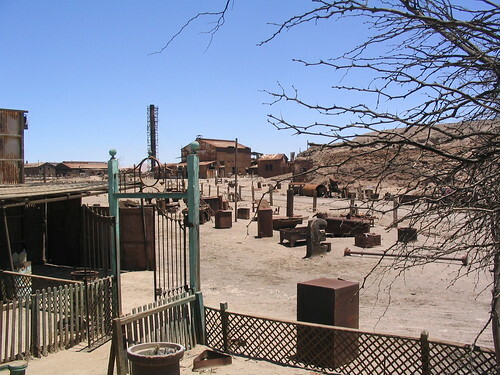 In Humberstone, a part from the workers houses, there were some structures dedicated to leisure. A tennis pool and a basketball one, a theater (that it is said to be haunted), and the most awesome, a pool constructed of cast iron from a ship that had sunk in the port of Iquique. 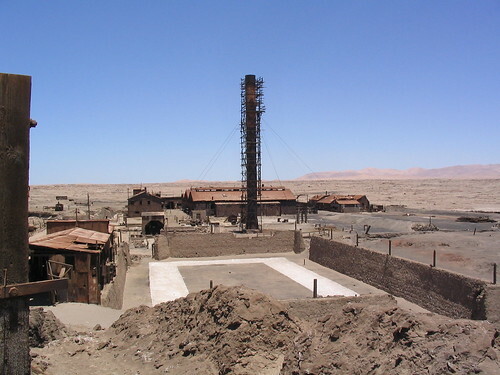 Until 2002 Humberstone was crumbling. Which was not due to the trace of time, was due to vandalism. But this year the luck of this place changed, as it was adquired by the “Corporación Museo del Salitre”, which began to fix the structures that were in worst conditions. 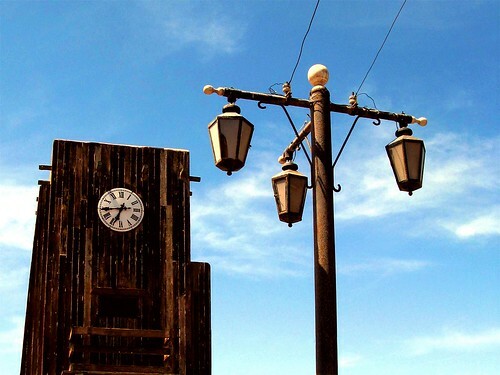 Since 2005 Humberstone has been declared a Patrimony of the Humanity by the UNESCO, and eventually plans to restore the whole place might take shape.